I hold a Ph.D. in International Politics from the University of Wales, Aberystwyth (2000), an M.Sc. in Strategic Studies from UWA, an M.A. in International Relations from Bilkent University and a B.Sc. in International Relations from Middle East Technical University. I am the author of Regional Security in the Middle East: A Critical Perspective (2005; 2nd ed. 2019), The International in Security, Security in the International (2016) and co-editor of Routledge Handbook of International Political Sociology (2017) and Asia in International Relations: Unthinking Imperial Power Relations (2017). I was a Woodrow Wilson Fellow at WWIC, Washington DC in 2006-07 and a Visiting Senior Research Fellow at King’s College London in 2013-14. I was a visiting professor at the Center for Contemporary Middle East Studies of the University of Southern Denmark and a visiting scholar at the Center for the Resolution of International Conflicts (CRIC) at the University of Copenhagen during 2015-16. I am one of the Associate Editors of International Studies Quarterly (2019- ). I previously served as Associate Editor of Security Dialogue (2008-2013) and International Political Sociology (2012-2017), editorial board member of the journals ID:International Dialogue, Global Discourse, Security Dialogue, Contexto Internacional, International Studies Quarterly, Revista Brasileira de Política Internacional, Foreign Policy Analysis, International Political Sociology and Geopolitics, and international editorial advisory board member of the journals Millennium: Journal of International Relations, Perceptions, and Uluslararası İlişkiler. 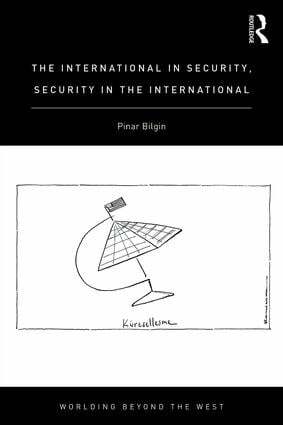 I am the co-editor (with Monica Herz) of the Palgrave book series, Critical Security Studies in the Global South. I received ‘the best article published in Politics in 2004′ award by the Political Studies Association in 2005. I am also a recipient of the ‘GEBİP Young Scientist Award’ by Turkish Academy of Sciences (2008) and ‘TUBİTAK Young Scientist Incentive Award’ by the The Scientific and Technological Research Council of Turkey (2009). I am a professor of International Relations at Bilkent University. I have been an Associate Member of the Turkish Academy of Sciences since 2012. My CV and some of my publications are available for download on my academia.edu page.